I realise it is no longer Autumn anymore, today being the first day of December and not long until Christmas!! However, this is the 3rd and final part of my Autumn Looks which I created a couple of weeks ago now! I am wearing a blue aztec long cardi from La Redoute, a vintage silk blouse, La redoute skinny crop marl grey trousers, Miss Selfridge gold cuff and vintage navy patent loathers! I hope you’ve enjoyed this series of 3 autumn looks and I hope you all have a fabulous weekend! !- Enjoy! 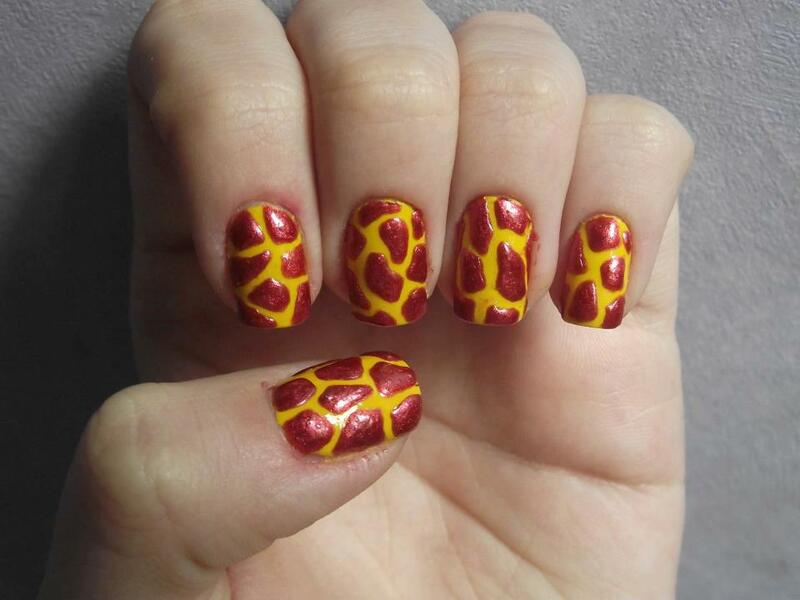 I have just discovered these 3 wonderful nail designs through the Superdrug Facebook page and aren’t they brilliant!! The first is this giraffe patterned one and it looks really 3D and textured with the brown marbly blobs! 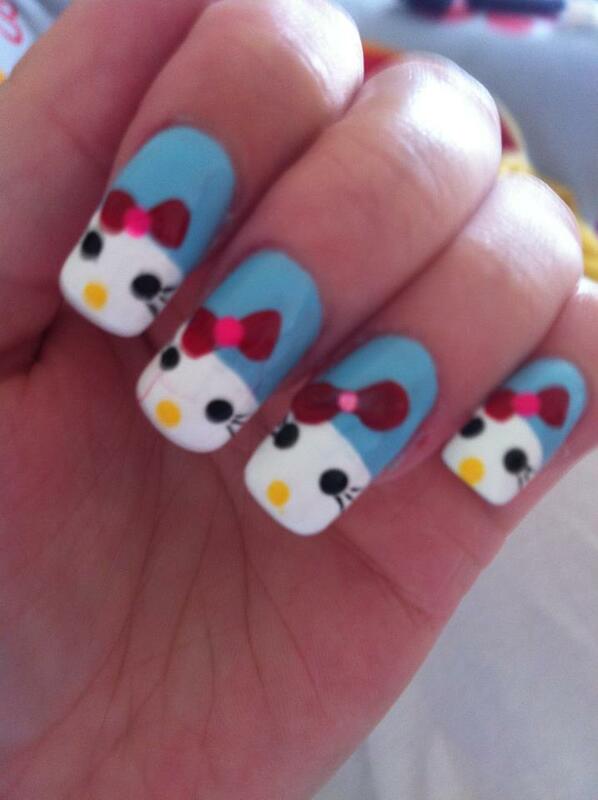 The second is this super cute hello kitty design which I adore and the last uses a pink ombre effect with a blue aztec summery print!! Hope you enjoy! 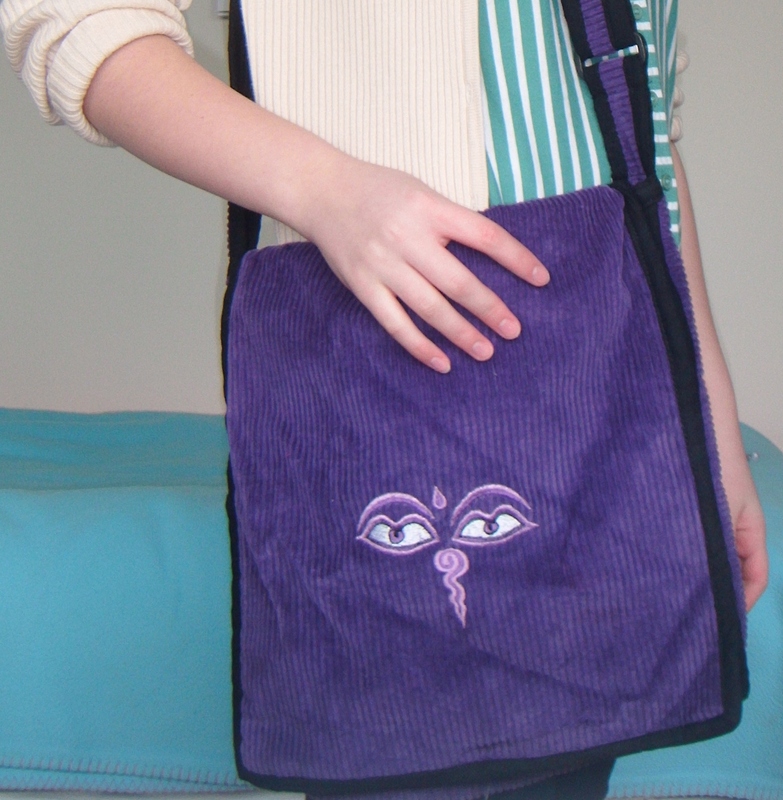 Just a super quick post to show this lovely Evil eye, egyptian aztec style thick bracelet and purple evil eye bag. I bought this bracelet about 6 years ago from a cute stall which sold all sorts of accessories in this style and re-discovered it today. 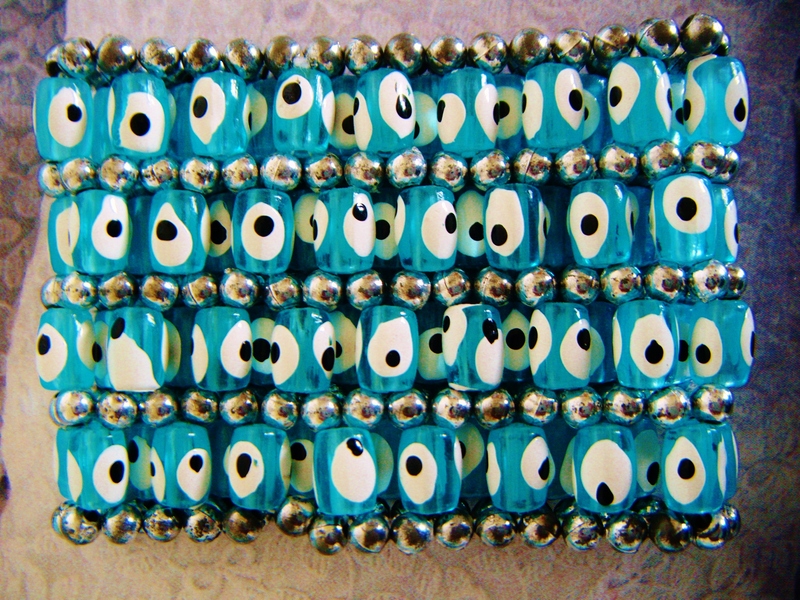 I love the bright turquoise beads as its such a vibrant and zingy shade also with little silver beads. 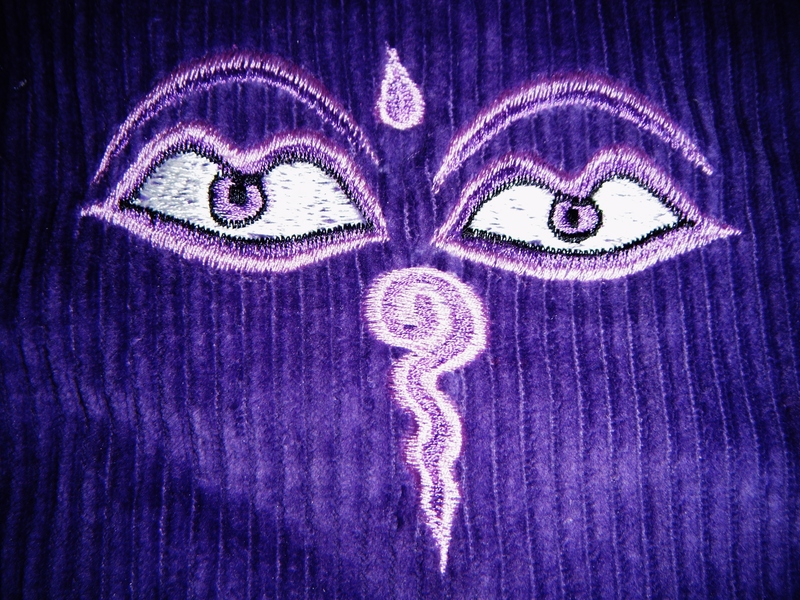 The other evil eye item I have recently found is this purple cordoroy slouchy bag with an evil eye design on it. I got it as a birthday present a few years ago from my Uncle who lives in Germany and it is a very unique piece.